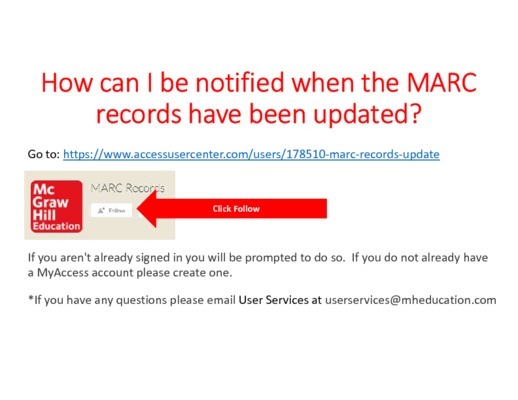 Please click below for answers to frequently asked questions. 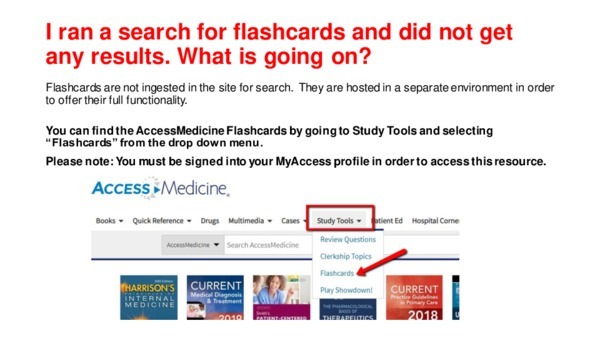 Can't find the answer to your question? 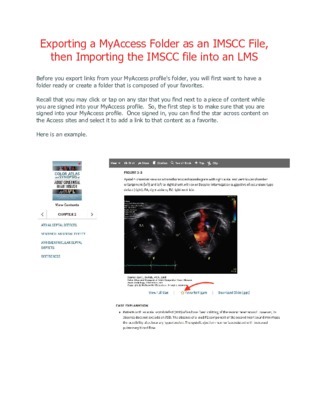 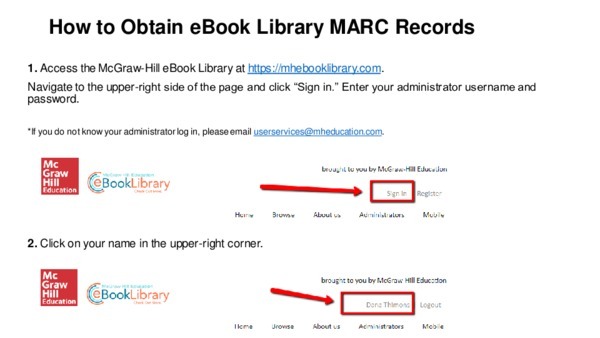 Please email userservices@mheducation.com and one of our Platform Trainers will be happy to help. 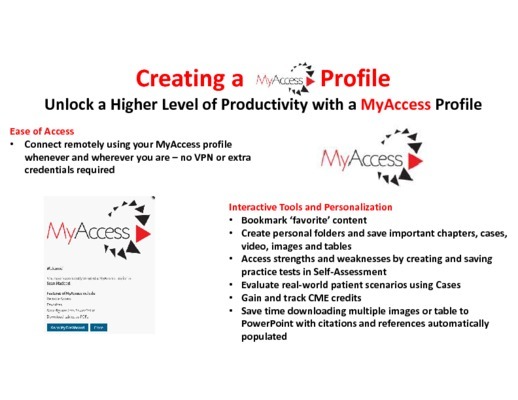 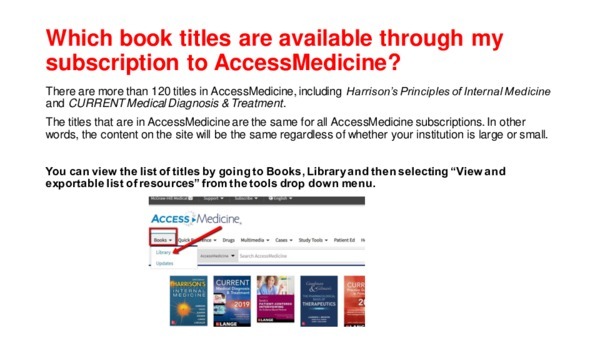 Which book titles are available through my subscription to AccessMedicine? 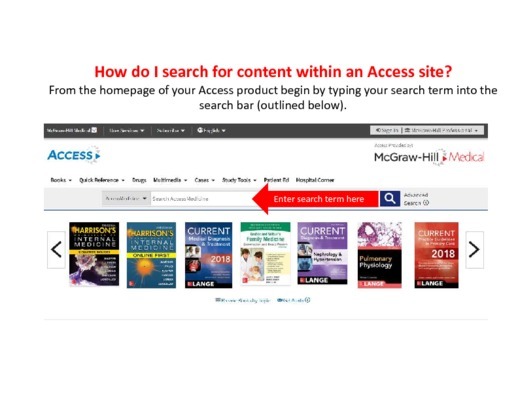 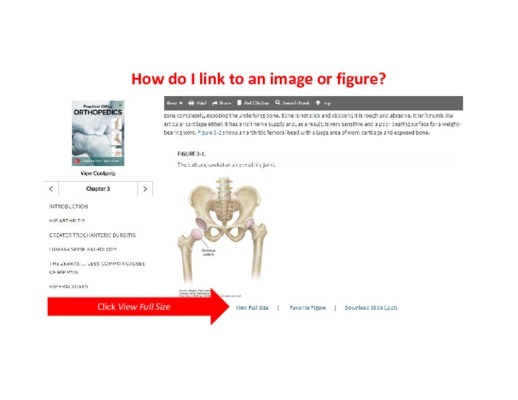 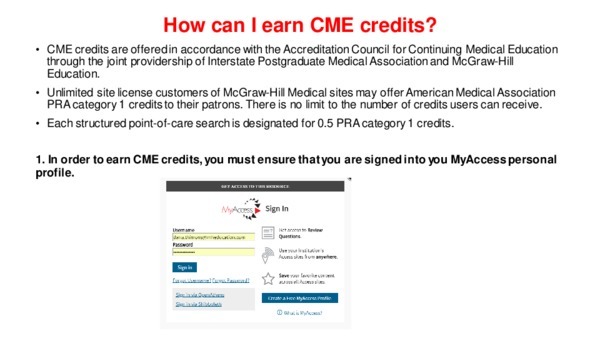 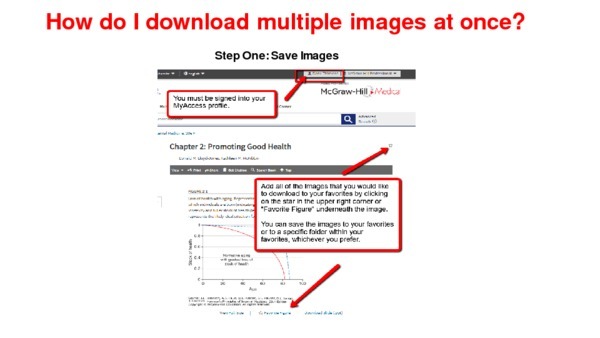 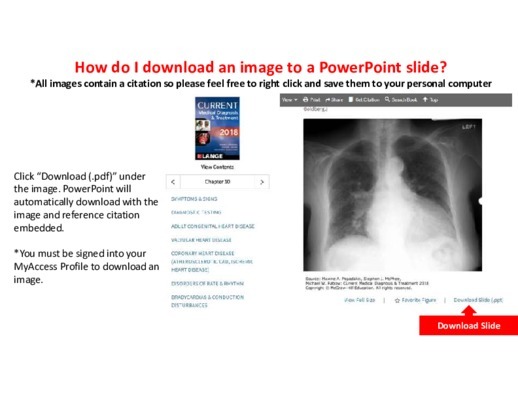 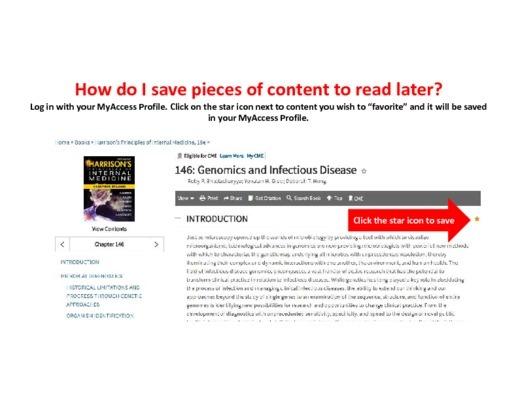 Can I reuse McGraw-Hill content in other places? 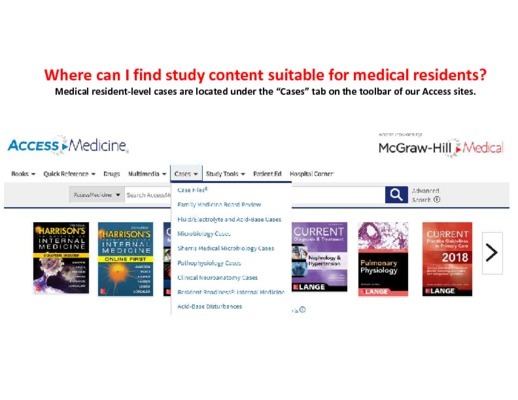 Residents - Where can I find study content? 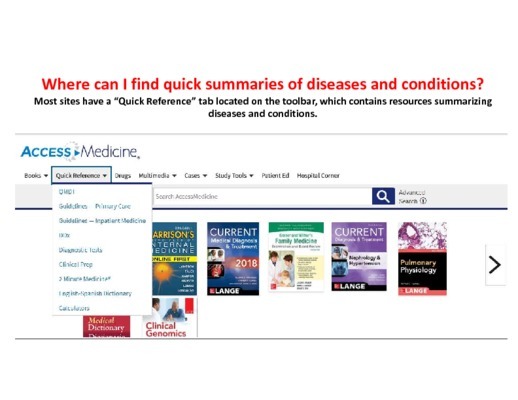 Where can I find quick summaries of diseases and conditions? 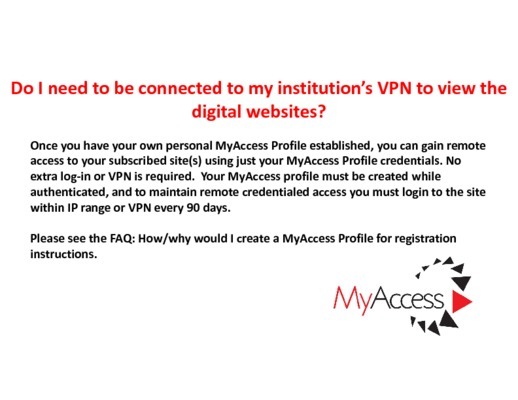 Do I need to be connected to my institution’s VPN to view the websites? 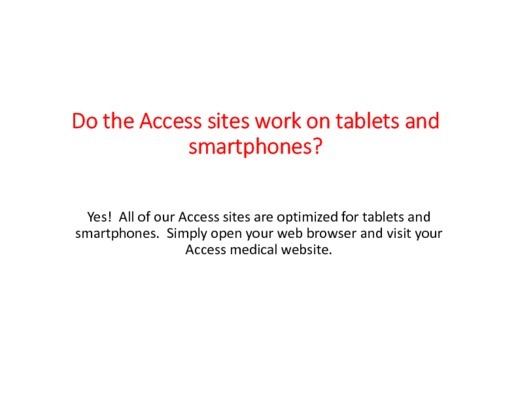 Do the Access sites work on tablets and smartphones? 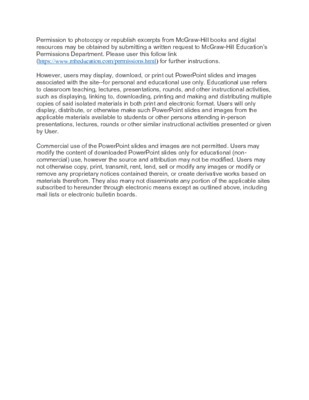 How do I link to an image or table? 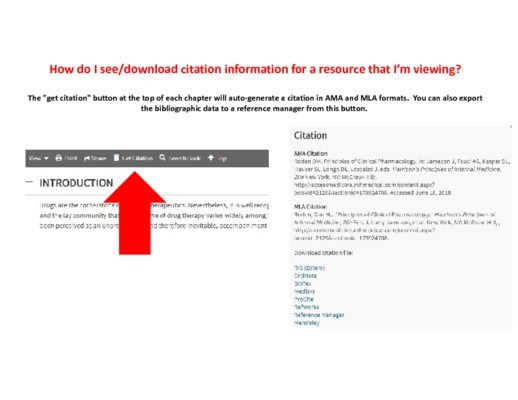 How do I see/download citations? 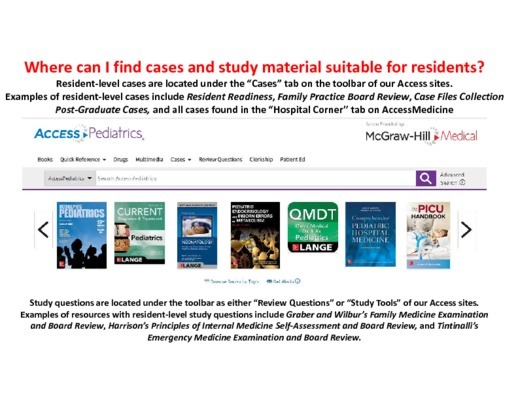 Where can I find cases and study material suitable for residents?